The buying, selling, and writing of books is a colossal industry in which marketing looms large, yet there are very few books which deal with book marketing (how-to texts excepted) and fewer still on book consumption. This innovative text not only rectifies this, but also argues that far from being detached, the book business in fact epitomises today’s Entertainment Economy (fast moving, hit driven, intense competition, rapid technological change, etc.). * a consideration of the tensions that both literary types and marketers feel. 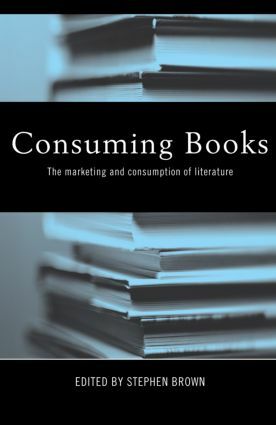 With something for everyone, Consuming Books not only complements the ‘how-to’ genre but provides the depth that previous studies of book consumption conspicuously lack. Stephen Brown is Professor of Marketing Research at the University of Ulster. Best known for Postmodern Marketing, he has published numerous books including Free Gift Inside and Wizard. His papers have appeared in the Harvard Business Review, Journal of Marketing, Journal of Consumer Research and many more.